Don’t be a wine wanker! Our regular readers would have cottoned on to the fact that our blog is lashed in irony. We are really the anti wine wanker brigade, and consistent with our Australian sense of humor it only seemed right to call ourselves what we are not. Tiny – often reserved for massive men. Stretch – used for people unusually short. Bluey – exclusively for those with red hair. Happy – someone with a dour taciturn disposition. So some rules to ensure you are not becoming a wine wanker might be appropriate. What we at the wine wankers are trying to do, is break down the divide between those that use wine as an elitist instrument, and those less imbued in wine matters. The reality is that wine tasting is a very subjective art, and you can read two reviews of the same wine and they bear no relation to each other. There are many examples we could give but I am sure it would cause some embarrassment to the authors. Wine is to be shared, a wine wanker type would hoard their wine. They tend to be name droppers, and mention that they have an ’82 Latour in their cellar and never share it with friends. Wine is to be drunk and enjoyed, and the sense of enjoyment is only enhanced when it is shared with others. Next time you buy a nice bottle of wine think about who you might like to enjoy it with. To us the enjoyment of wine is enhanced significantly when paired with food. The synergy of wine and food together, either as a foil for each other, or complementing each other, is one of the true joys of life. The pleasure of a perfect food and wine match is bliss, and matched by few other things (maybe even that). Love love love this site. 4 rules perfectly sum up what wine is about. Everyone who doesn’t follow this is kidding themselves. As part of our holiday re-run series here’s Neal’s take on how not to be a real wine wanker! Life is too short to drink bad or cheap wine. I can definitely say I am not an elitist. Some of my favorites are blends, in some cases the are simply called ‘Red Table Wine’ or ‘White Table Wine’, this causes me to laugh. I hunt for new and exciting wines which often then become new favorites. I live though in a Dry County and and Dry City within that county (strange Texas law), so must venture far and wide for wine. It makes it an adventure. I love your rules! That makes me a peaceful, dreamy, young hunk, full of positivity. How awesome is that! But it also makes it harder to deal with life when I’ve had a glass. Great article…definitely worth a re-post. Good rules. What wine wankers need to realise is that there are not enough of them to keep the industry growing. The wine industry needs all people (of age 😉) to enjoy wine and making people feel bad about their choices or stupid is the antithesis of that. 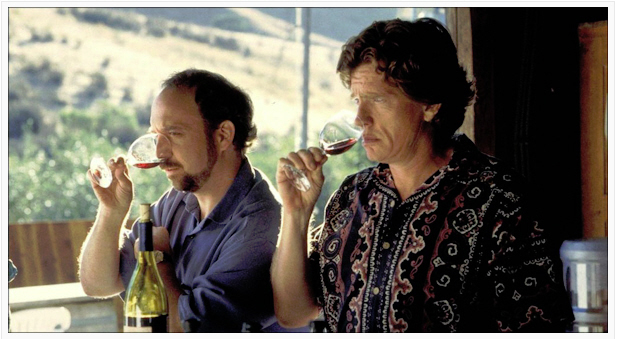 But like a great Barolo, a good film is best shared and enjoyed with friends…. Great blog, love the rules! Have to show this to a few people I know though!! !